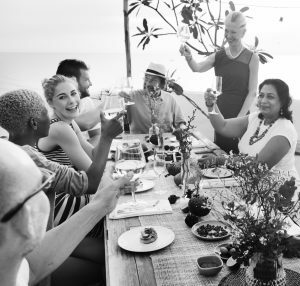 First things first ~ Having a drinking problem doesn't necessarily mean you are an alcoholic!​ Challenges around alcohol span a multitude of possibilities. ​For some it's just a matter of wanting to moderate a little. For others, the situation has become more serious. Whether it's binge drinking, using alcohol to sleep, or full-blown alcohol dependency, we are able to help in a number of ways. The majority of people who misuse alcohol do so because they are drinking for the wrong reasons. For some, it's a way to escape, for others it's a means to feel social, for ​some it how they fall asleep. A big part of our program involves unraveling some of the "reasons" behind WHY you drink. Once those reasons are no longer as present, alcohol use in far less compulsive and it is easier to stop when you've reached your pre-determined limit. So we work on the emotional and psychological triggers, but you will also learn some intelligent drinking habits so that the alcohol you do drink, will have less of a negative impact at a physical level. When we start working ​together, we'll start by designing a plan with you. This will include a system to manage withdrawal, reduction and/or elimination. Some of the techniques may seem too easy and simple, but we've been using them successfully for years! Often, simple works best. 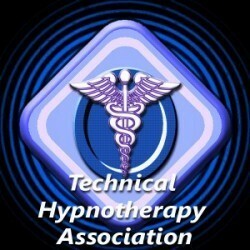 Each session will begin with a counseling element followed by hypnosis to reinforce new changes. The majority of our clients report that the process is so much easier, that they find that there aren't even thinking about alcohol as much as they used to! ​Will You Have To Stop Drinking Completely? ​The majority of our clients overcome difficulties with alcohol and go on to lead normal lives. Those who do have one thing in common. They address the issue with commitment and realism, they are willing to put in the work. We bring clients from a place of mis-using alcohol to either moderation or full abstinence, depending on what is most appropriate. in their life Realistically, the goal is to allow you a life in which alcohol is no longer a negative factor. For most people this is not an impossibility. If you are in doubt, give us a call and we can work on this together. Our clients in this area include senior figures in business, politics, and even home makers. They span hardened drinkers of large quantities of spirits, to people who simply cannot sleep without a bedtime glass of wine. Not every alcohol problem is life-threatening. It's a case of finding a level of comfort that you find acceptable. Many clients are in business situations in which alcohol plays a large role. Many different solutions can be found. ​How Much Does It Cost? And How Long will It Take? Due to the specialized nature of working with addictive substances, we charge between $180-200 per session (depending on the severity of usage), and they must be purchased in blocks of 3 sessions. Once you've reduced down your usage to a more moderate level, and are in a maintenance phase, the ​fees will go down to our standard rates. Initially, it may seem like a large financial investment, but it is very small compared to the cost of an in-house rehab centre, which can run upwards of tens of thousands of dollars! Not including the cost of not being able to go to work. If you are a moderate user of alcohol (up to a bottle of wine per night), you could see results in as little as 3 sessions. Heavier drinkers often require a longer period of time in which to taper down their usage and therefor more sessions ​may be needed. Fear not! 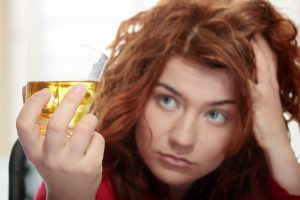 Getting control of your alcohol intake is absolutely something we can help with. Call us today at 778-331-0959 to discover the best way to move forward!